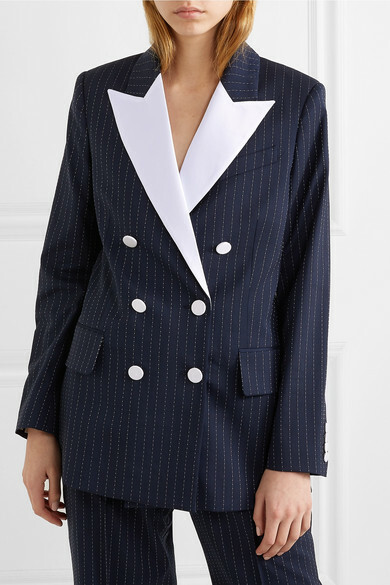 Racil Chalhoub says that one of the best things about her blazers is that you'll never feel over or under dressed in them. 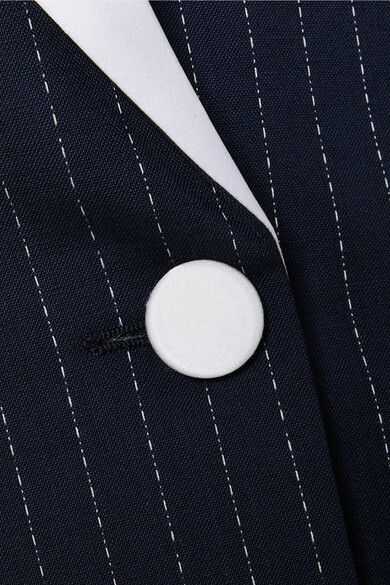 This signature 'Casablanca' version has been newly updated in navy wool-blend crepe decorated with traditional white chalk-stripes, which match the satin lapels and covered buttons. 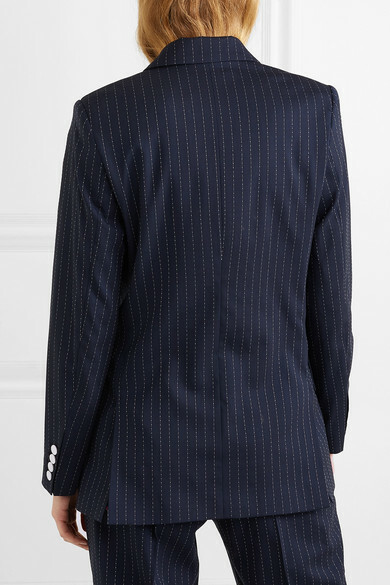 It's tailored for a slightly loose fit and has padded shoulders. 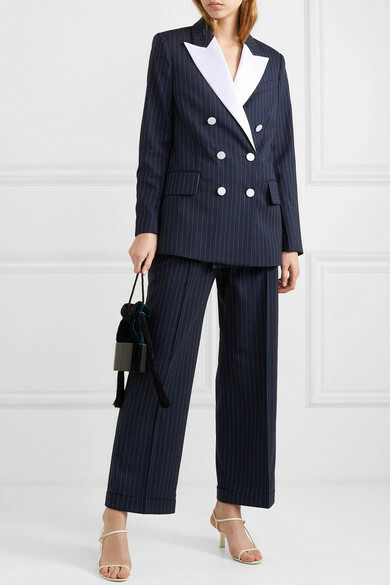 Complete the suit with the matching pants. Shown here with: Hunting Season Pouch, The Row Sandals.